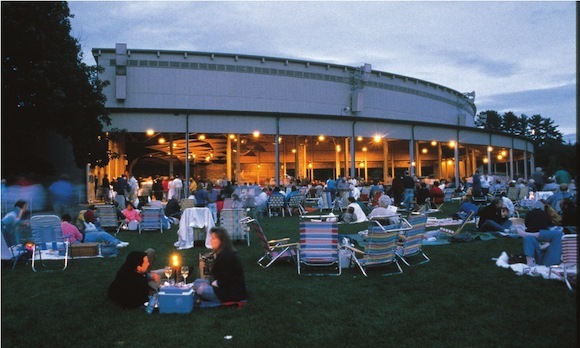 Today the Tanglewood Music Festival attracts 350,000 visitors a year. 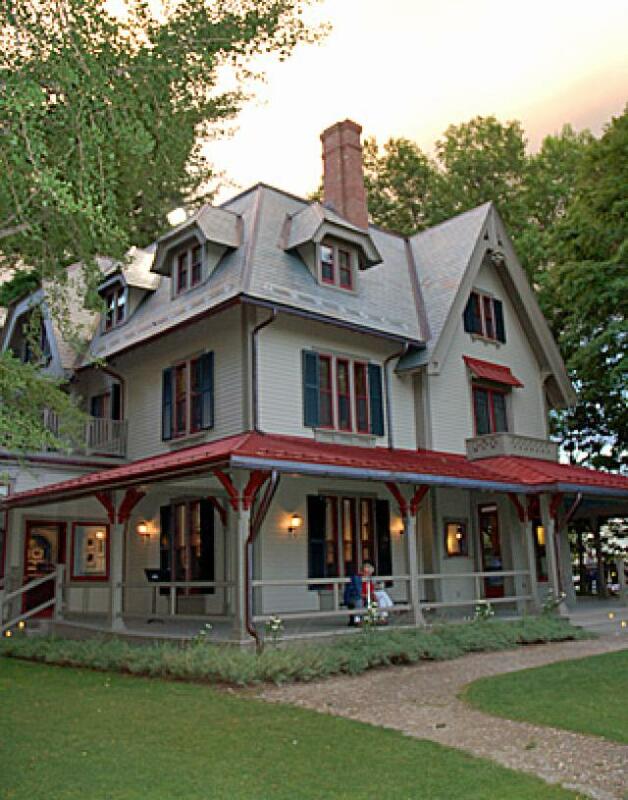 Although it is on the border with Stockbridge, it is a major contributor to the Lenox tourist industry as well as a great delight to those of us who live here. In 1934 – a difficult time – the whole county chipped in to launch the predecessor of the Tanglewood Music Festival — the Berkshire Symphonic Festival. They were inspired by a handful of determined people. 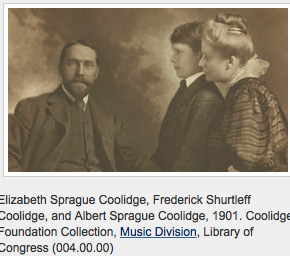 In 1918, Elizabeth Sprague Coolidge put her considerable funds and determination to work to produce the first Berkshire Chamber Music Festival at South Mountain, just over the town line in Pittsfield. She attracted renowned composers and performers. The Berkshire’s reputation as a beautiful place to perform and listen to music had begun. Clearly she had local cachet as the committee trying to get the Berkshire Symphony Music Festival going named her honorary president. Hadley was born in Somerville, Massachusetts, to a musical family and trained in Europe a for what would become a successful career as a conductor and composer. He conducted in Seattle, San Francisco in New York. The symphony he had been conducting in New York ran into fundraising difficulty with the stock market crash, and he moved to other conducting work abroad. It’s not clear when he visited the Berkshires but he had, for a number of years, a dream of putting on a classical summer music festival under the stars. 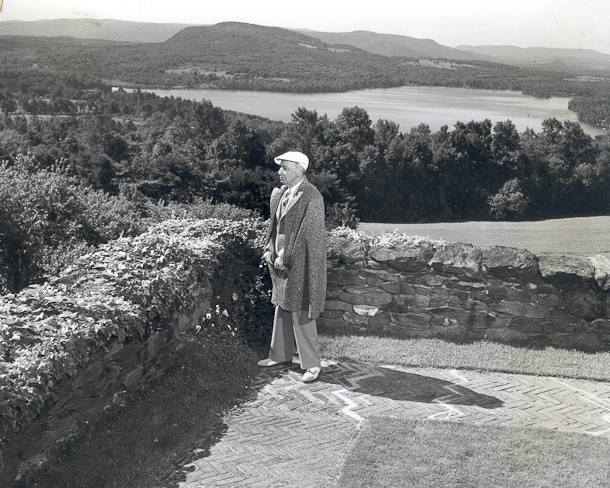 In spire of a cancer diagnosis in 1932, he decided to pursue his dream in the Berkshires. Fortunately he was directed to Stockbridge’s Gertrude Robinson Smith. 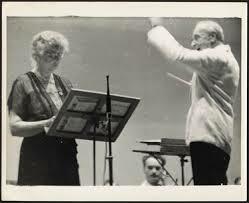 Henry not only worked with Gertrude and her committee to select the site but gathered 65 musicians from the New York Philharmonic and conducted the first concert at Hanna’s farm August 23, 1934 and again in 1935. In 1935 he included performers from other orchestras and expanded the orchestra size to 85. He remained involved in the success of the Festival’s remarkable first three years despite health problems but succumbed to cancer in 1937. Gertrude Robinson Smith was born to a wealthy New York family. Her father was a corporate lawyer and director of Allied Chemical. Her mother had been largely raised in Paris and Gertrude split her childhood between New York and Paris. When World War I broke out, the family purchased a property in the Glendale section of Stockbridge (that would be on Rt. 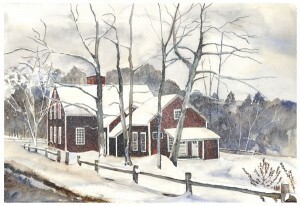 183 as you pass Chesterwood) and started spending summers in the Berkshires. Gertrude would go on to build (literally wearing a tool belt build) with her friend Miriam Oliver and some local help her own house on the property in the 1920’s. During World War I, she and her friend, writer Edith Wharton, organized medical supplies for France, even traveling to the country in a blacked-out ship and flying over the front lines. Smith was made a chevalier of the French Legion of Honor for her efforts. So the girl had some skills that set her up well to make the Berkshire Music Festival happen. 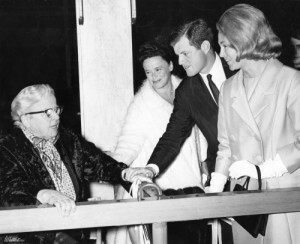 She had the magical combination of a cultured background, a CEO- like personality, money and connections….and beginning in 1934 she focused her considerable energy and skill on establishing a permanent summer music festival in the Berkshires. She worked with Mrs. Owen Johnson (Stockbridge) and Mrs. William Fulton of Great Barrington to launch meetings across the Berkshires. Everybody was to be involved. They met with a representative for the festival in each of the 200 towns and planned choral training over the winter that all would be encourage to join. Despite difficult economic conditions, the ladies convinced local residents that this was worth the risk and should become a community enterprise. Remarkably they pulled it off in three months for the first performance in August 1934. After a particularly dreadful summer deluge in August 1937, she led the successful campaign to construct a permanent shelter – which would become the Koussevitsky Shed. The Russian born composer and conductor would pick up the baton from Henry Hadley and expand both the program and the stature of the festival to the heights it enjoys today. 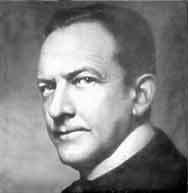 By 1936, Hadley’s health forced him to resign as conductor. Encouraged by two successful years, the trustees sought an orchestra and conductor. Sometimes its good to know people who know people (presumably) and the Berkshire trustees quickly worked out an agreement with the Boston Symphony trustees and George E. Judd, conductor and manager. It would, over the long term, become obvious (he was BSO conductor from 1924 to 1949), that Tanglewood was a match made in heaven for both parties. The success of the festival made Lenox/Stockbridge a tourist destination and allowed Koussevitzky to fulfill a dream of establishing a music institute that would foster new composition and train young artists. Leonard Bernstein was among his many proteges. 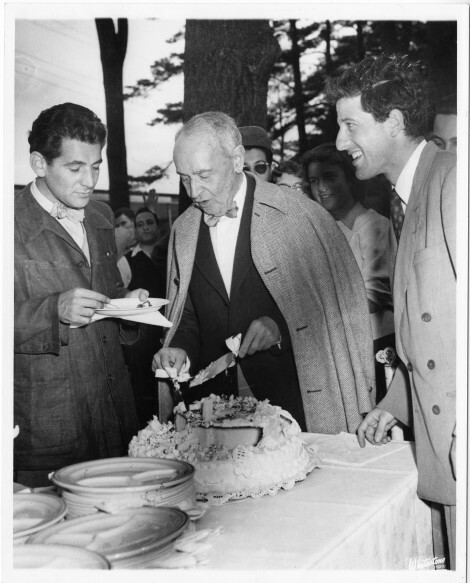 In 1936, the final piece of the Tanglewood Festival fell into place through a gift from Mrs. Rosamund Dixey Brooks Hepburn (1887-1948) and Mary Aspinall Tappan (1851-1941). They gave the Boston Symphony Orchestra their summer home, Tanglewood, including 200 magnificent acres overlooking the Stockbridge Bowl. Mrs. Brooks (later Mrs. Hepburn) was the granddaughter of William Aspinallwall and Caroline Sturgis Tappan and Mary Aspinall Tappan was a daughter (Mrs. Brook Hepburn’s aunt). The Tappan family spanned the 19th century history of Lenox as a resort and added a certain creative pixie dust to Tanglewood. The grandmother/mother was Caroline Sturgis Aspinwall (1819-1888). She was part of a Boston family that had made its fortune in the China trade. She married William Aspinwall Tappan, son of noted abolitionist, Louis Tappan. 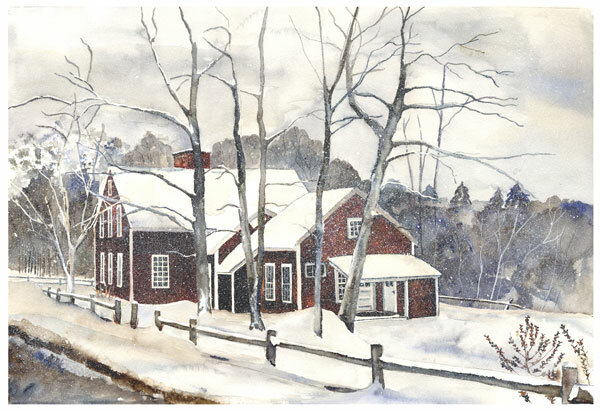 They first came to the Berkshires to visit their Boston friends, the Wards, and would rent High Wood before building their own home. When they came to the Berkshires they were a locus point for intellectual conversation, drawing, and musical performances. 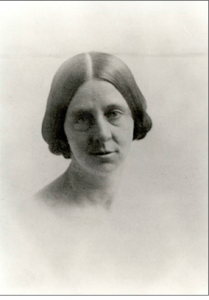 Caroline Tappan was part of the literary renaissance sweeping the country in the early 19th century and was a contributor to the Dial and a friend of Ralph Waldo Emerson, Margaret Fuller, Ellery Channing, Henry James, Henry David Thoreau. Notably, this circle also included Nathaniel Hawthorne, to whom they let the little red cottage on the drive to High Wood 1850-1851. It was Hawthorne who coined the name Tanglewood.